CarFax vs AutoCheck Reports - What You Don't Know! When you buy a used car, it’s important to get an accurate and detailed vehicle history report and know the differences between CarFax vs AutoCheck reports. 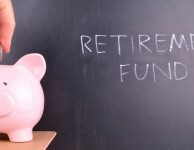 It can save you big in the long run. CarFax and AutoCheck vehicle history reports are two of the most prominent options, but it can be difficult for shoppers to understand the differences between the two choices. 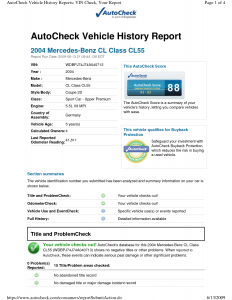 Although both reports can offer plenty of useful insight into the history of a used car, AutoCheck reports have a better reputation among used car lots due to their ability to thoroughly track vehicles sold at auctions. In general, AutoCheck and CarFax reports offer many of the same advantages. Both reports will provide a fairly reliable account of the emissions history and accident history of any given car. This means that with either report, you can be confident that you have a good idea of any problematic aspects of the car’s history. The most significant difference between AutoCheck and CarFax is that AutoCheck is far better at tracking auction cars, while CarFax is known for not being able to effectively track cars at auctions. This obstacle makes CarFax much less useful since many used cars have been auctioned off at some point in their history. So why can an AutoCheck vehicle history reports successfully keep track of auctioned cars? AutoCheck currently maintains exclusive access to data about important auctions at the two largest auction houses in the United States. That means that no other report can come close to the accuracy that AutoCheck reports provide on used car lots. If you’re buying a used car, look for dealerships that offer AutoCheck reports in order to ensure that you have a fully accurate report before you make a purchase. 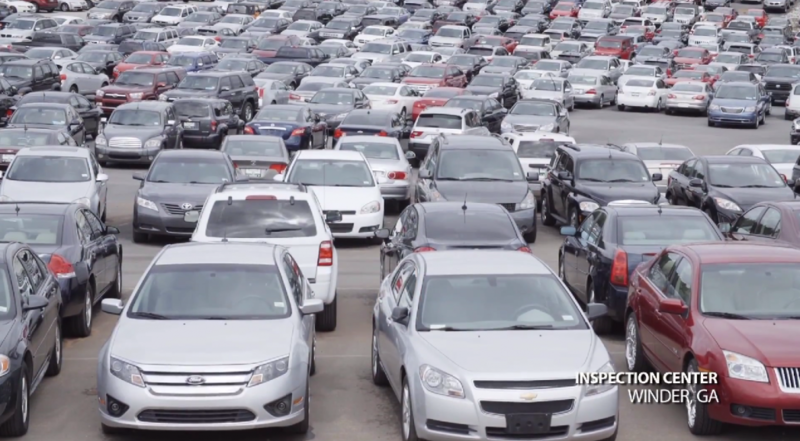 All DriveTime vehicles purchased from an auction pass through an inspection center. This is another area in which AutoCheck wins again. The “AutoCheck Score” provides you with easy-to-understand analysis of how the vehicle’s history impacts its current market value. With one glance, you can gain a better understanding of the significance of past accidents. While CarFax reports do include collision records, they aren’t as detailed as the AutoCheck score, so you may not gain a clear picture of the true market value of a used car if you rely exclusively on a CarFax report. If you choose to subscribe to AutoCheck, you can take advantage of the opportunity to run a limitless number of reports based on VIN numbers. 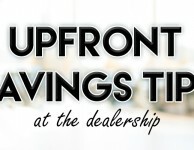 This benefit allows you to thoroughly check out a variety of used cars from different used car lots before making a final decision. Again, CarFax doesn’t offer this type of service. If you are planning to purchase a vehicle through DriveTime, you can view a live AutoCheck history report for free on any of our vehicles online. CarFax vs AutoCheck – Who Wins? Although many used car lots prefer AutoCheck, CarFax reports do offer some advantages. For instance, CarFax has a better record of successfully verifying mileage and reporting how many owners the car has had. However, it’s important to remember that neither vehicle history report can provide a guaranteed history of a vehicle. Both providers can only provide information that has been recorded or reported. Regardless of what the report says, it’s important to ensure the vehicle has been thoroughly inspected before purchasing. What has your experience been with vehicle history reports? I perfer autocheck since the report on my car is definitely correct with no accidents and 3 owners versus carfax who says my car has structual damage has been in an accident due to parts that were order for it and it was a 1 owner vehicle. Their report clearly shows the 3 owners yet they deny the error. I went to sell my car and the buyers did carfax reports and immediately decided not to buy my car without even inspecting it for themselves. Autocheck rates the car at the high of their scale while carfax says it is worth $2000 below book. After opening a case with carfax and pointing out the descrepencies in their report they still deny the issue and case closed. I recommend AutoCheck! Autocheck is way better. Carfax is a scam and very costly for continued poor service and incorrect information as well as not very transparent. It’s all about taking your money. I prefer Carfax as it tild me how many people had my car and that is was in an accident. Autocheck did not tell me how many people had the car nor did it tell me that is was in an accident. I used Carfax as the Used Dealership that I bought my car from used Autocheck and I received the report but have been having numerous problems with it. So i decided to do my own check. Not impressed with what I received from the dealership, now i am trying to get help with fixing it or my money back… Should be told in the beginning if the car was in an accident no matter how minor. The CarFax report on a recently purchased 2011 Ford Explorer shows 3 accidents and structural damage and the AutoCheck report shows none of this. The CarFax report essentially reduces the trade in value of my vehicle to zero dollars. I’m not sure which to believe and hope that the dealer that sold me the certified pre-owned vehicle will do the right thing and give me my money back. How do you get a copy of the auto check or car fax report? Nice post! The information you provided is very helpful if someone is planning to buy used vehicle. I think Autocheck is better way to get all the information of used vehicle. Autochecks! Carfax is a scam. Totally agree. Carfax is a ripoff with no real information at all for older cars. Which I would think is the main customer base for it’s use. Don’t use it. We just purchased a vehicle from a used car lot where the Autocheck was provided by the dealer who noted no accidents or issues, as well as 100K Toyota servicing. It starting driving strange so we contacted the dealer who performed the servicing to verify the work – they reported it was not serviced, but rather inspected and needed a transmission and had overheating issues and was submitted to auction with that information. The dealer told us there were no issues with the car. We then got suspicious and purchased a Carfax Report which noted the car had been in a major front end accident at 60K miles including airbag deployment. The two reports are WAY OFF for the same VIN. My lesson learned is to acquire both reports. Had we been wise consumers we would not have solely trusted the Autocheck (and dealer) and passed on this car. Autocheck is a scam .. They dont let you run unlimited checks as claimed..
After 25 odd checks on the Autocheck they disable your account and you are supposed to send them email to unblock further checking for another 10 or so checks. Scammers at their best.. I would agree with author. I was looking at a used car that did come from a car Auction. Auto Check indicated vehicle having two accidents (one with a police report). While Car Fax did not indicate any accidents. Definitely a Red Flag for Car Fax. I would say that Car Fax did indicate more of the maintenance records. But, more concerning is that Car Fax didn’t indicate the accidents. I actually just asked a family friend, who is in the car business about which one is better to use. He said Autocheck is just as good and that it’s actually what MOST car companies use to check cars coming in and going out. I wish people would do their homework instead of just jumping into one over the other just because it’s all over t.v. (Carfax). I think just from the comments, I’ll go with AUTOCHECK! I hope this help someone. Autocheck is a piece of crap….. just basic information, does not show maintenance records etc. Carfax is better however BE AWARE…. the “unlimited” is NOT really unlimited if you are trying to run the VIN numbers… only 5 reports after you pay $55… Is unlimited if you run the License plate of the car… NOT every car being sold on Craigslist or dealers have a license plate on it… so be aware of this first hand. Car fax is better than the Auto Check in my opinion but be aware of the “unlimited” thing. Carfax Unlimited is not unlimited either. 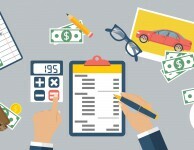 Per the CarFax terms: If you purchased the Unlimited CARFAX reports package, you agree to pay a single charge in the amount set forth above for the Unlimited Reports (Private Seller Vehicles Only) plan (“Plan”) plus applicable sales tax in the following states: CT, DC, HI, NJ, NM, NY, SC, SD, TX, WA and WV, according to your card issuer agreement. You acknowledge and agree that vehicle license plate and state information is needed to run each CARFAX Report under this Plan. So CarFax requires plate and state info for their “unlimited” plan too. I hope this helps someone……. I just found out that AutoCheck picks up cars that have an “Educational” vanity license plate(Ilinois) as a car that is used for drivers education. 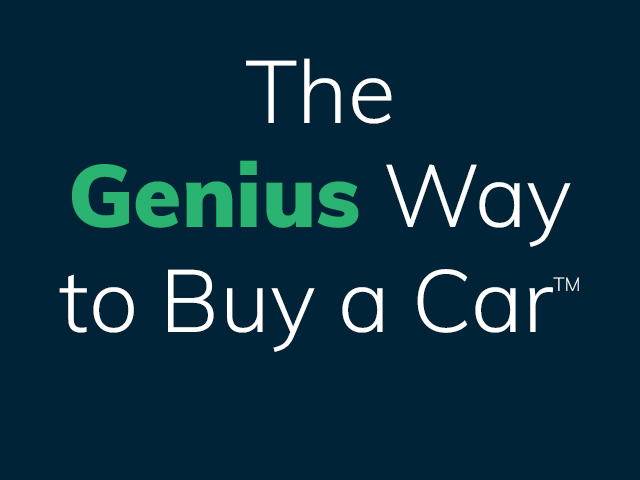 Because of this use CarFax reduces their appraisal value by about 12%. The vanity plate has nothing to do with a driver education vehicles but it could take weeks for AutoCheck to change this use which requires a state DMV to get involved in the process. CarFax usage is based on the title not the licenses plate. Very true. Auto check is the better way to check VIN online regardless of its minor glitches. If you want to get your money’s worth, DO NOT USE CARFAX! 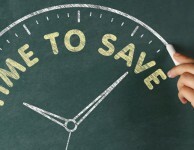 If you need to search by VIN, CarFax’s unlimited plan is not unlimited at all – you only get 5 searches for $55. With Autocheck, you can get unlimited searches by VIN. HUGE DIFFERENCE. Will never use Carfax’s paid service again. When buying a car, I would definitely like to see both the Carfax & Autocheck reports. Carfax is unreliable by my experience. Can someone explain why anyone should pay for what should be public information? At the least it should be consumer awareness and all dealerships should be offering this info from both agencies or we should demand it. Think about it, when you get your car serviced or you buy it or you trade or sell it, you are paying for it to be reported already through raised or hidden fees so why should I have to pay for it again? In my conspiracy-minded opinion, these guys are double-dipping. When you go to Carfax.com and Autocheck.com, and input the vin numbers, the search tells you (for free) how many reports were found for that car. I just did this, Autocheck came up with 18, and Carfax came up with 40. I have to believe Carfax is more detailed. The car I am thinking about buying has been in an accident. I’d like to try and figure out how extensive the damage was, and how complete the repair was. I am unable to view the links you have provided for the accidents on this vehicle, but please also note even if we can review the accidents, we will not be able to add the information to the AutoCheck report, until it arrives from our data sources. I appreciate your honesty in wanting to warn the next buyer, but you may wish to provide the damage report to interested buyers to they have the full detail available. I will never trust Autocheck ever!! Until today I knew nothing of AutoCheck and I hate to say it my first experience with them is not only bad but it’s causing me to lose money too. At CarMax while they where appraising my truck to trade in this company AutoCheck reports there was an accident on the VIN for my truck. They reported this so called accident happened about 1.5 years ago which is wrong. I’ve owned this truck since the beginning of 2013 & when I purchased it they reported it had NO accidents, I know it’s never been involved in a accident or ins claim of any type since I’ve owned it. This report has lowered my trucks value so I contacted AutoCheck my self when their employee MariaB told me “we just report what we’re told and there is NOTHING I can do about it” so now I’m losing value in my truck because of this company not willing to fix a error on a report they sold. AutoCheck says the won’t fix it which tells me they really don’t stand behind their reports accuracy. My opinion, NEVER use AutoCheck and NEVER believe anything they report! I bought a car from the Chattanooga area Drivetime and upon signing the contract was told that there was no recalls on my car (2012 Ford Focus Sedan). However, after having the car for three months I received a letter in the mail from Ford saying my car has been on recall for a TCM Transmission Control Module since 2013. Not impressed with Drivetime at this point or with AutoCheck! Hi Robert – I am very sorry to hear this. You can definitely give our Customer Relations Department a call at 800-965-8043 and they will be able to help you out with this. Carfax offer defaults to “unlimited” reports. However, this is not unlimited VIN it is only unlimited by plate number. Don’t be fooled. The offers are 1. (1) report 2. (5) reports 3. unlimited by plate NOT Vin number. You can cancel after receiving 2 reports. So if you want to get two FREE reports, activate the unlimited service but then cancel it after opening only 2 reports. Many years ago there was and still is a company called CCC. They provided INSURANCE companies with auto histories. I know this because my brother has worked there for over 35 years. Then you have basically “information brokers” like CARFAX who buy information from reputable companies. The issue is they are information brokers and nothing else. A lot of the information is assumed and incorrect. I am not familiar with Autocheck as much but the major issue is that I know CARFAX is just a marketing tool for dealers. A reputable dealer would never use a CARFAX to check a trade but will use against you if there is something on there that helps them. The dealers use a reputable company like CCC and then if there is something nasty and probably wrong on the CARFAX they will just show you that costing you money and bargaining power. To sum this up it is kind of like the brokers who put your information on the internet and then want people to pay for information that more then 20 years old. It’s all a SCAM, unregulated and legal. The reports don’t have to be accurate. They make money on the side by getting people to buy reports. The chance of a report being 50% correct is slim. Basically everything about a vehicle is tied to the VIN, a plate is just that. In my state it costs $10 to transfer plates but $101 to get new ones. One year I had the same plate on 3 different cars. Anyway if a dealer tries to lowball you because of a bad CARFAX or AutoCheck just walk. My experience: A brother who works for the company that has the true info on your VIN and a couple of friends who own dealerships. It’s all a marketing tool and if you fall for it, it can cost you a significant amount of money. Never trust a company that you cannot call on the phone. That’s a dead giveaway of a CON. Email us the info you have. No, prove where you got your erroneous info from. The problem is they take their sweet time Emailing you back. It’s all a SCAM and marketing tool. If I am buying a car for my daughter, I am hopefully getting both reports… but if I can only run one, I am going with Carfax. They have 10x the records that Autocheck does. The more info I can get to buy a safe car for my daughter, the better. Period. A local Kansas Ford dealer has a 2016 Fusion for sale as “used” with 11 miles on it. Yes, eleven. My contact at the dealer told me sometimes a car is damaged in transit or something, gets repaired but then can’t be sold as “new”. He looked up the damge: +$4000 in repairs to the rear bumper, both rear quarter panels and one rear door. The AutoCheck report on this car (double checked the VIN #) lists it as 100% CLEAN !!!!! WHAT A JOKE!!! I will NEVER TRUST AUTOCHECK!!! WORTHLESS!!! Better switch to Vinaudit. For just $5, you’ll get a full car history report or $1 each with business account. I believe autocheck is best if you choose to run multiple vehicle history reports. If not I’d go with a Carfax report for a single VIN check report. 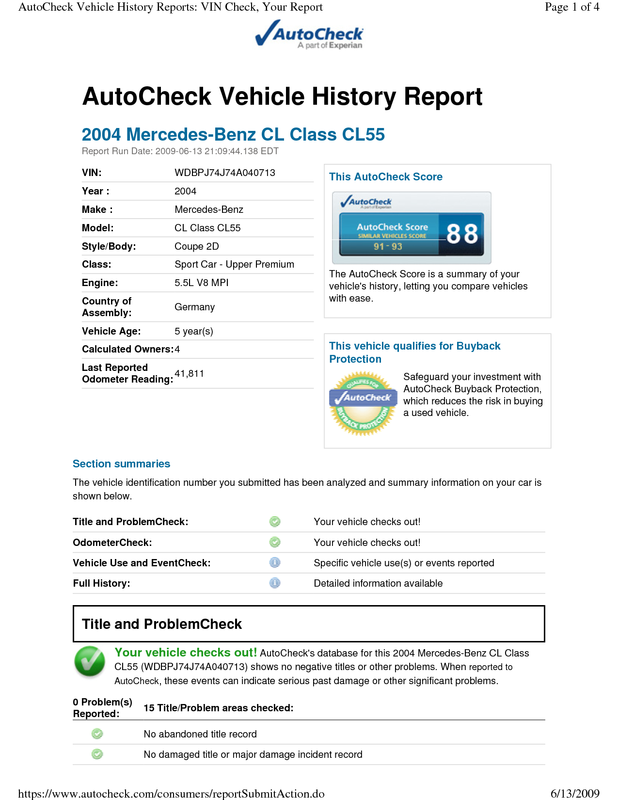 How do you purchase a report from Auto Check on a purchased used car??? Hi Lois – You should be able to obtain an AutoCheck report here. Just checked both AutoCheck and CarFax for all 3 of our vehicles. AutoCheck said all had been damaged in a flood, reported as a total loss and been repo’ed. Not true for all 3 but it said that. CarFax was correct with their information though. Going with CarFax. CARFAX contains much more information and service records and has department that actually works with police departments to obtain correct accident data as states are slow to report. Auto check just provides basic DMV record info you can get for free. Check out both and make sure dealer provides it for you. If a dealer tells you they are the same do you homework before you sign anything. Thank you for the advice. I am about to purchase a car out of state and the dealer offers Autocheck. When I asked for a Carfax report also, he got a bit defensive saying that 8/10 dealers use Autocheck and that Carfax isn’t very reliable. I am insisting on both reports just for peace of mind. CarFax drills down deeper in the car’s history/information. For example it shows all the service dates the car was worked on if taken to a dealer, lists the dealers name, address, phone number and in most cases the work that was completed. Far more info than any other source – BUT – it is a ripoff and a crime there is no true competitor offering the same detail for a reasonable price. I hate them! In my humble opinion none of them are good, and I can explain why. First of all they are very uncomfortable, and have just terrible design. Secondly they are very expensive, and it seems to me that only rich people use this services. And finally why do we need this services, if we can use FAXVIN reports that works just great! I’ve used both and CARFAX was much more detailed with much more information. The problem is with CARFAX is that since they have a lot more information on the vehicle (more service records, especially more accident info), people get upset because they don’t want their vehicle showing the accidents. It seems people selling like to use Autocheck (because there is less info) and people buying like to use CARFAX. Buyer beware on Autocheck. Let me guess DriveTime uses Autocheck? Seems unbiased enough for me. Thank you for reaching out to us. Please know that we provide a copy of the Experian AutoCheck History Report to all of our customers since this report provides the most accurate and up date information which details previous owners, liens, or accidents if applicable that are reported to the appropriate source. Should you have further questions, please reach out to my Customer Relations department at (888)290-0148. I was just shopping for a car and Autocheck reported no accidents for the vehicle, but Carfax reported three in the last fourteen months. 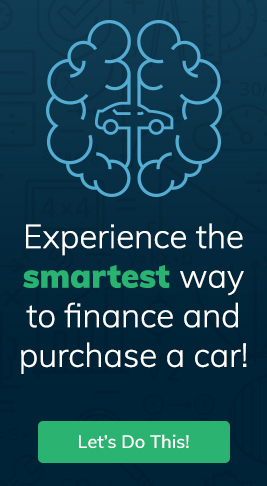 I am certainly glad that I spent money for the Carfax report than to spend thousands of dollars on a car that was involved in that many accidents over that time period. Thank you for your review and your interest in DriveTime. Here at DriveTime, we do provide all of our potential customers a copy of the Experian Autocheck report. 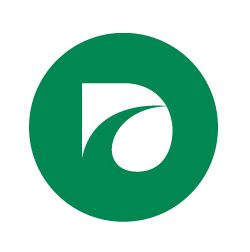 Experian is a third party company that is not affiliated with DriveTime that provides accident reports, history of use as a fleet or government vehicle, registration in a storm area and storm records. We provide this as a tool for researching the history of the vehicle, and we encourage all of our customers to complete their own research to ensure they are confident in their purchase of their vehicle. We also provide every customer the same 5 day vehicle return period to ensure they are absolutely satisfied with both the vehicle, and the terms of their contract. Thank you again for taking the time to leave your review, should you wish to discuss this situation further please reach out to our Customer Relations Team at (800) 965-8043. So by reading the comments the best way to go would be to get both the Autocheck and Carfax reports and decide from there. Thank you for your interest in purchasing through our company, Courtney! Please know that our company emphasizes a sense of transparency by providing each customer with an Experian Autocheck History report for every vehicle on our lot. We always encourage our customers to perform their own research on the vehicle they are purchasing in order to ensure they are completely aware of the product they are purchasing. Additionally, if our customers find that they are dissatisfied with their purchase in any way, they may utilize our Vehicle Return Program (VRP). This program allows our customers to return their vehicle within 5 business days of signing their contract, in additional to being within 300 miles driven, while excluding Sundays and holidays. Thanks again for your interest in DriveTime! If you have any additional questions, please do not hesitate to contact your local DriveTime dealer.